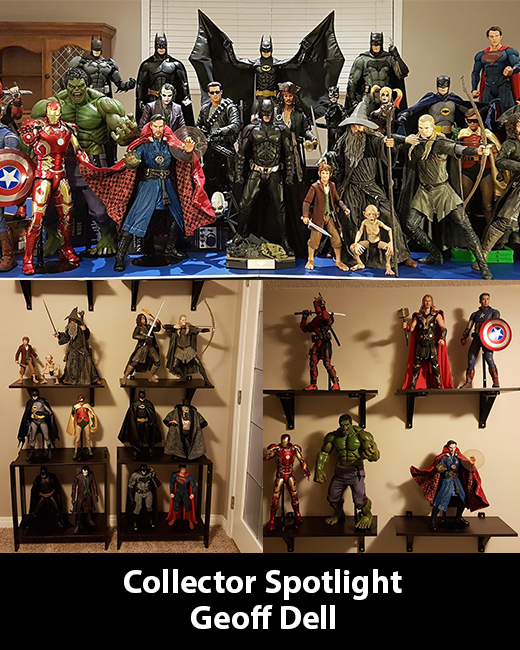 This week on the Collector Spotlight series, we have a 1/4 scale NECA collector who also crafts his own custom accessories! I have been collecting NECA action figures for almost 3 years. In terms of collecting in general, it really just grew out of my childhood. Even at a young age I would display tiny action figures and toys, and as I got older that naturally turned into the same thing just with higher end collectibles. 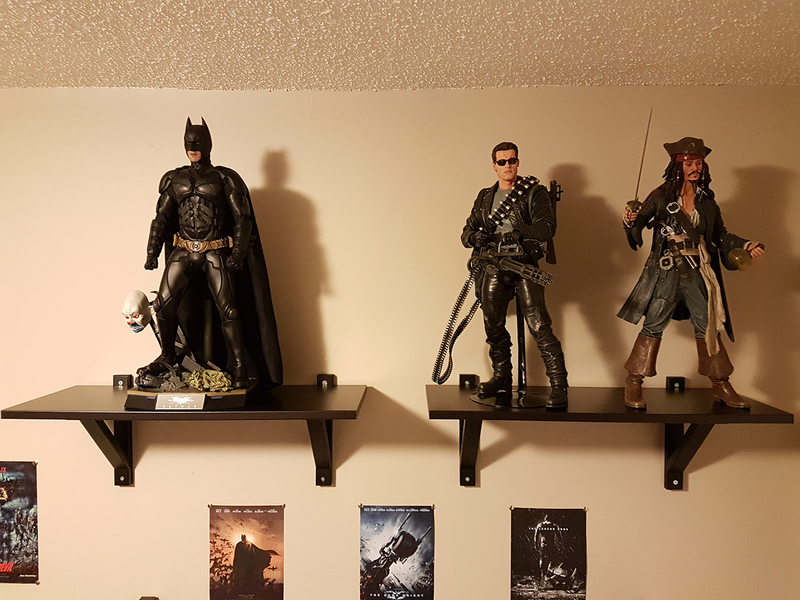 I started collecting NECA figures specifically because after getting my first 1/4, I loved it so much that I wanted to expand and devote my collection to almost exclusively NECA 1/4 figures. My very first NECA figure was the 1/4 Battle Damaged Unmasked Captain America. I saw it on sale, and figured it was too good of a deal to pass up. Little did I know that it would open the door to an amazing collection from my favorite toy line and company! As of now, I have a total of 25 NECA 1/4 action figures. 12 are DC Comics related, 6 are Marvel related, and 5 are Middle Earth related with the remaining 2 being the T-800 and Jack Sparrow. My most recent addition was Bilbo Baggins; an older release but I was missing him so I had to go back and grab one! One thing that makes my collection a little more unique is the fact that I have made a few custom accessories in addition to the excellent variety NECA has provided. I have made custom Joker cards for the Dark Knight Joker, a custom evidence bag to hold the Joker card from the Batman Begins Batman, and custom magic shields and effects for Doctor Strange! 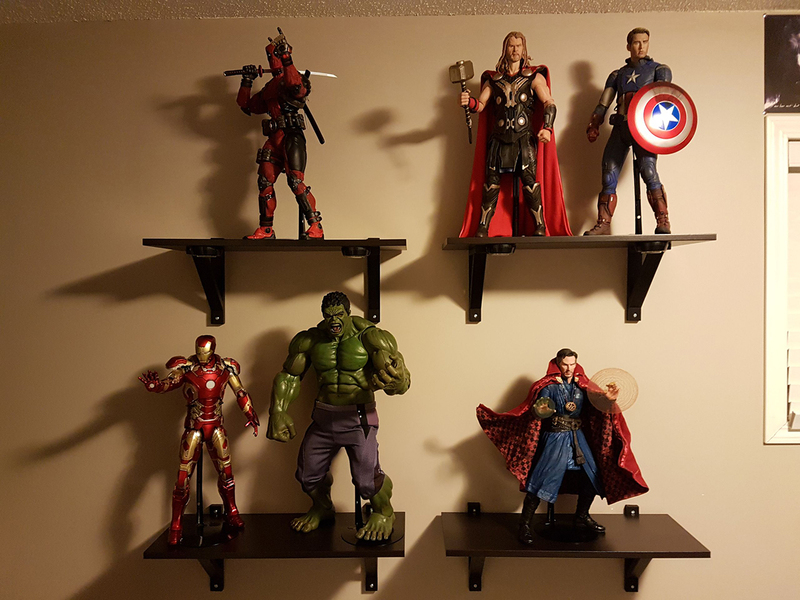 I’m very satisfied with my display, and in the future I hope to expand the collection by adding NECA’s Spider-man, Daredevil, Wonder Woman, and Civil War Captain America! It’s insanely hard to choose just one! I guess I’ll have to go with the Arkham Knight Batman or Smeagol, though any of them could be a great answer. 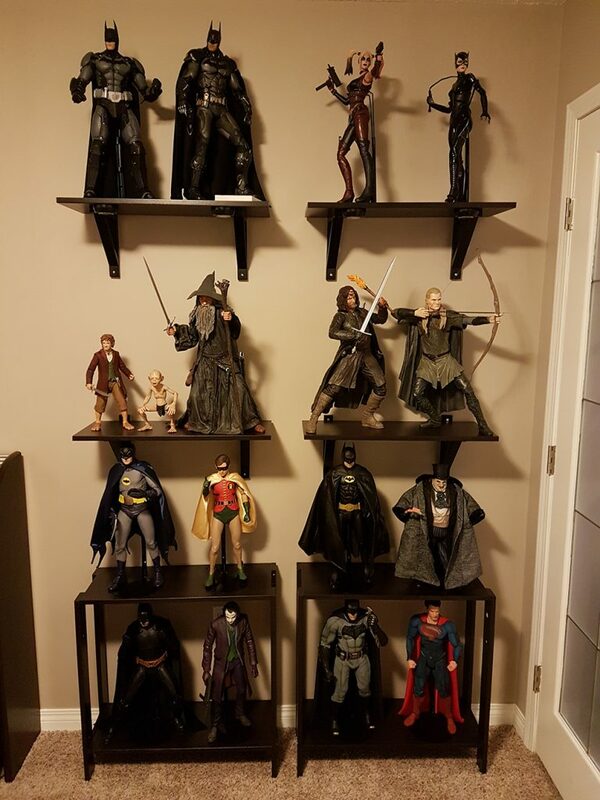 Any DC and Marvel 1/4 figures! Specifically the upcoming Daredevil and Wonder Woman.